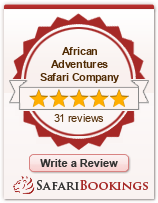 Why Use African Adventures Safari Company? With over 54 countries & island nations that make up the vast region of Africa most travel agents have no concept or knowledge of the diversity of cultures, languages, political systems and geography of these vastly different nations. With over 25 years experience – I am proud to say I DO! All Safaris are fully escorted throughout the entire Safari – and offered at a price that will suit your budget. Create memories that will stay with you forever. You can specially design your tour to suit your budget, interests and timeframe. By tailoring your own safari you can access EXTRAS that other companies don’t offer. i.e. : Special locations, curio shopping, assistance with documentation, intervention with government officials, assistance at border crossings, inside knowledge of local customs and access to venues not often visited as well as much more. I am the Safari guide and owner of the business & have created the routes & contacts through hard work on the ground in Africa. Most importantly I do not work to a clock so I am available at all times to address any queries you might have. An Elephant’s trunk can be up to 2 metres long, weigh up to 100 kilos and can carry about 17 litres of water? That’s some baggage!